It takes real guts to make a heist/getaway movie at this point in movie history. The genre has been done so many different times in so many different ways that it should be next to impossible to bring something new to the table. 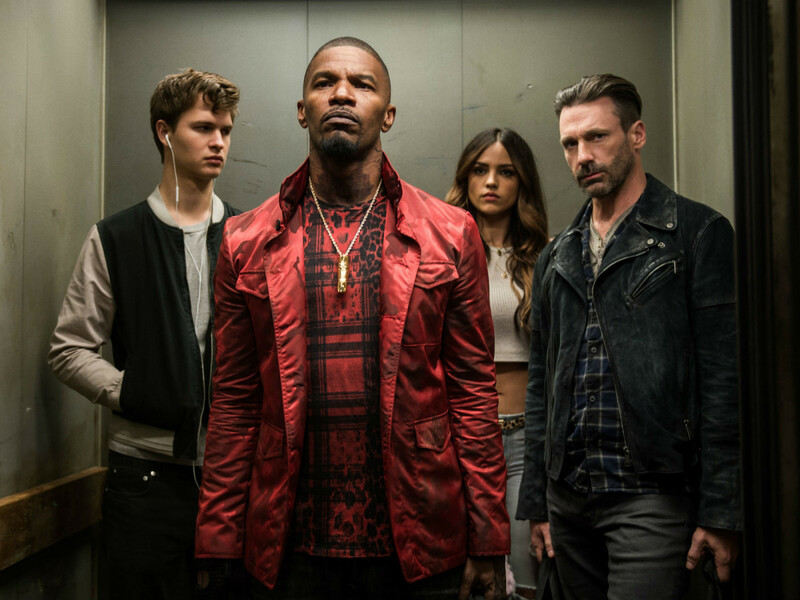 But that’s no challenge for an inventive filmmaker like Edgar Wright, who defies the odds with Baby Driver. 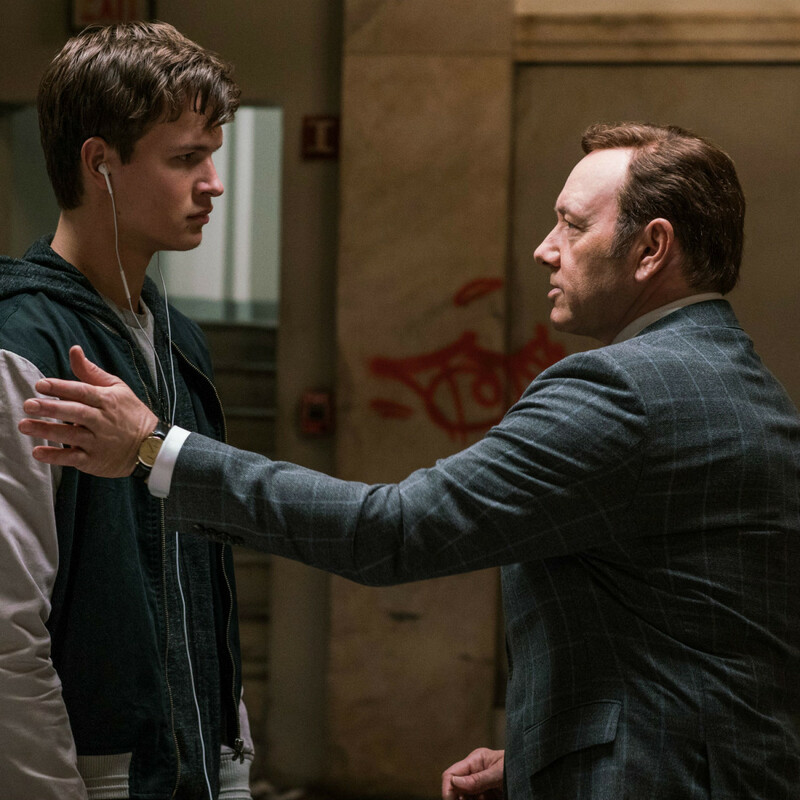 It follows the ultra-talented getaway driver Baby (Anson Elgort), who works for crime boss Doc (Kevin Spacey) as a way of paying off a debt he owes him. 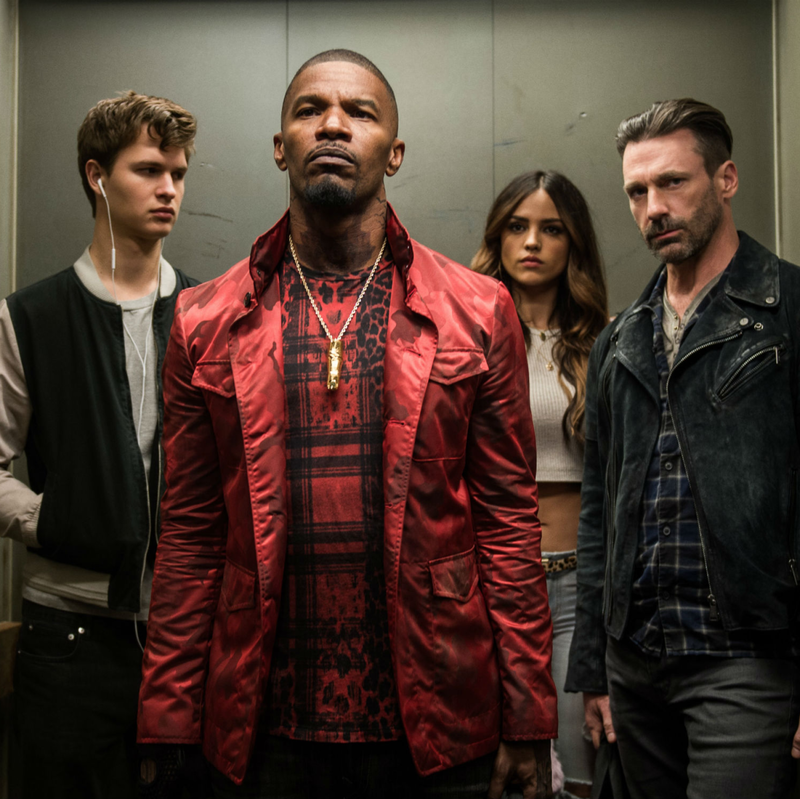 Working with crews that include Buddy (Jon Hamm), Bats (Jamie Foxx), Darling (Eisa Gonzalez), Eddie (Flea), and Griff (Jon Bernthal), Baby sets his getaways to music on his ever-present iPod, something he uses because of tinnitus resulting from a childhood accident. In between jobs, Baby has started up a relationship with Debora (Lily James), a waitress at the diner he frequents. 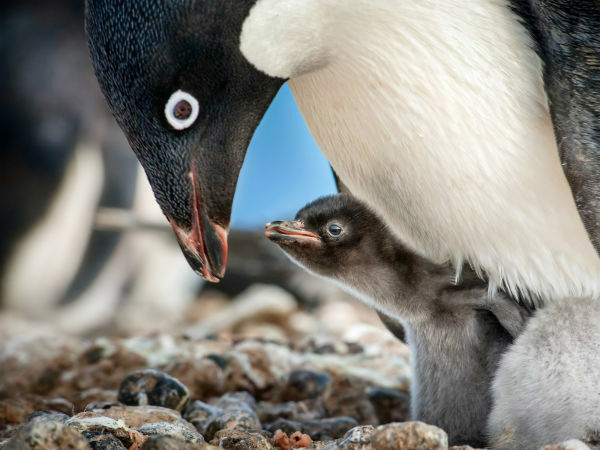 With both damaged in different ways, they hope to run away together, if only Baby could extricate himself from Doc. 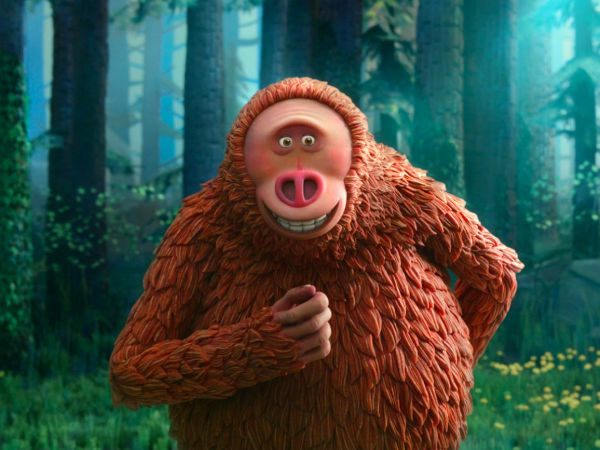 Wright, who wrote and directed the film, hits the gas on the story from the first second, making it fun, fast, and frenetic. He makes music the heart and soul of both the film and Baby, putting the audience in his head even when he’s not speaking. And Wright thankfully doesn’t fall back on tried-and-true tunes that have been used a million times before. He’s chosen songs that may not be instantly familiar to many viewers but which still propel the film forward at breakneck speed. Speaking of speed, the car chases are sights to behold. Since the getaways are often the best part of a heist, Wright makes the smart decision of never showing the robberies up close, instead focusing on Baby as he gets ready to do his job. Through a combination of camerawork, editing, and acting, the three chases shown are white-knuckle rides that get your adrenaline pumping to the highest degree. The imaginative ways in which Wright and his team maneuver through traffic, switch roads, take improbable U-turns, and crash into cars and other things are a blast to experience. The “lamb in a wolves’ den” idea has been done many times before, but it’s at its most effective here. Though exactly why Baby is such a good driver is never explained, it’s clear that a life of crime is not what he wants. He’s contrasted with the group of hardened criminals who each have a particular reason to distrust Baby’s skills and motivation. 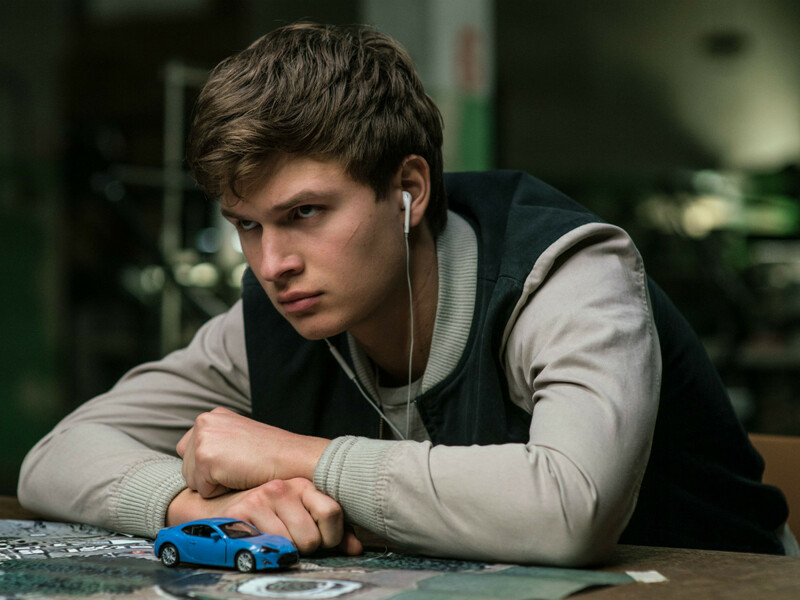 Thanks to The Fault in Our Stars and the Divergent series, Elgort is not an unknown quantity, but his casting as Baby is spot-on. He has just enough sense of innocence, combined with an innate swagger, that makes Baby a compelling character. 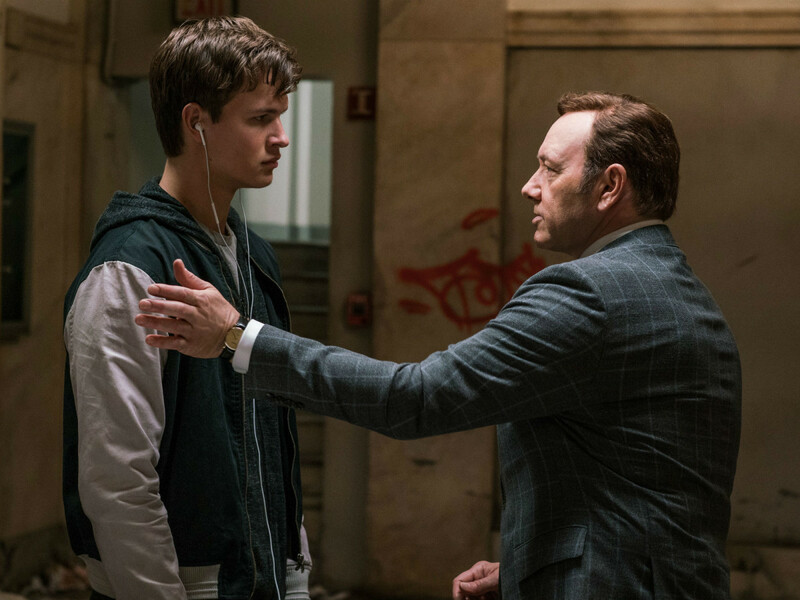 Heavyweights like Spacey, Foxx, and Hamm are ideal foils, especially since they do most of the talking. 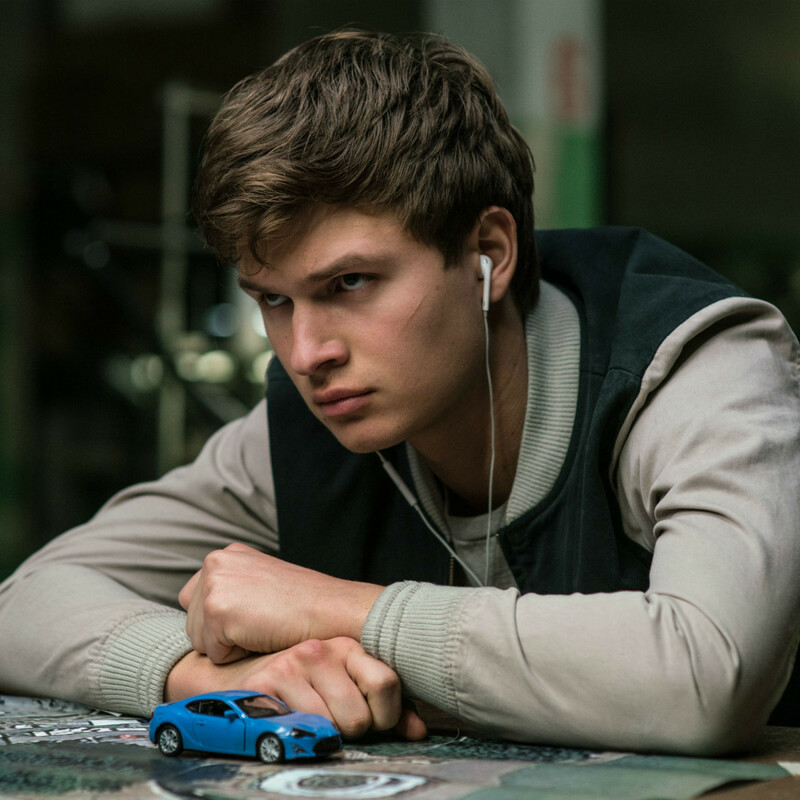 You’re not likely to have a better time at the movies this year than Baby Driver. The music, camerawork, and more make it about as kinetic a movie as possible, and one you won’t soon forget.